At Certified Hearing Aid Care, we offer a wide range of services to ensure your hearing health is what it should be. We start with a comprehensive hearing evaluation and based on the results, we work with you to improve any hearing loss you might have. While wearing headphones, you will listen to tones of different frequencies and identify the lowest possible volume of detection for each frequency tone. Air conduction is testing the entire hearing mechanism from the outer, middle to inner part of the ear. Bone conduction is tested through a bone oscillator that is placed behind your ear on the mastoid bone, or on your forehead. This transfers sound directly to your inner ear. Bone conduction will evaluate how well just the inner ear is working, as opposed to the entire hearing system. Word recognition testing evaluates your ability to understand words at a comfortable loudness level. Sometimes, patients can hear words, but cannot understand what is being said. In cases where a hearing aid is recommended, we will help you select the best device to suit your needs, budget and insurance coverage. 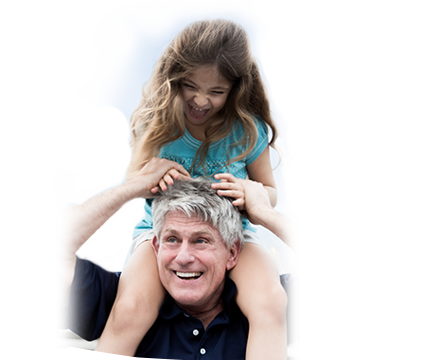 At Certified Hearing Aid Care, we can fit patients of all ages. We perform in-office repairs and manufacturer repairs of all models of hearing aids are available. We’ll even provide you with a FREE loaner hearing aid to use while your device is being repaired. Choosing the right hearing aid is a big decision. There are many options when it comes to style and manufacturer. At Certified Hearing Aid Care, we will explain all the options available to you and make recommendations based on your needs, lifestyle, budget and insurance coverage. 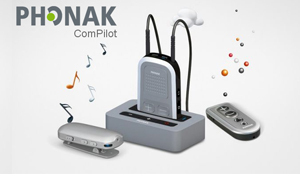 We sell and service all major brands of digital hearing aids. There are five basic types of hearing aids. Once your hearing is evaluated, we will help you choose the best for your needs. In the Ear – In the Ear Hearing Aids (ITE’s) are for mild to severe hearing loss and are custom fit to sit comfortably in the outer part of your ear. They are larger than In the Canal type of hearing aids and may be easier to handle for some patients. ITE’s are available in different shades to match your skin tone. In the Canal – In the Canal Hearing Aids (ITC’s) are for mild to mildly severe hearing loss. An in-the-canal hearing aid is custom molded and fits partly in the ear canal, but not as deeply as the completely-in-the-canal aid. ITE’s are available in different shades to match your skin tone. Completely In the Canal – Completely In the Canal Hearing Aids (CIC’s) are for mild to moderately severe hearing loss. They are virtually undetectable as they are custom fitted to sit inside the canal. 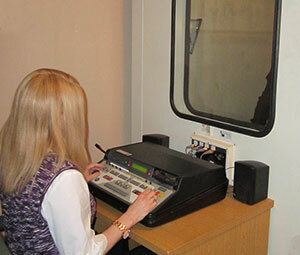 Behind the Ear – Behind the Ear Hearing Aids (BTE’s) are for moderate to severe hearing loss. Most parts are contained in a small plastic case that rests behind the ear; the case is connected to an earmold by a piece of clear tubing. BTE’s are often chosen for young children because they can accommodate various earmold types which need to be replaced as the child grows. In addition, BTE’s are easy to clean and are relatively sturdy. As with In the Ear Hearing Aids, Behind the Ear Hearing Aids are available in a variety of color options. Certified Hearing Aid Care offers custom fit hearing protection swimmer of all ages and noise reducing earplugs for people who work or play in loud noise environments. We can also custom-fit earmolds for hearing aids, iPods® and other electronic devices. Floatable swim plugs are made of soft silicone for comfort and excellent sealing qualities. Soft to the touch and extremely tough and durable, they can be worn daily. Swim plugs are available in a wide variety of colors. For patients who need extra hearing help, or where a hearing aid is not appropriate, Certified Hearing Aid Care offers amplifying assistive devices. Such devices will amplify the sound of televisions and telephones. We also provide other hearing assistive products such as wireless listening systems and sound alert devices. For patients who are unable to visit us at our Middletown location, Certified Hearing Aid Care offers testing and hearing aid services at your home. Please call us to schedule your in-home visit. Proper cleaning and caring for your hearing aid is vital to ensure your device operates as intended. Certified Hearing Aid Care carries a variety of products that make cleaning and sanitizing your hearing aid quick and easy. Certified Hearing Aid Care carries a range of hearing aid batteries to fit most makes and models. We’ll even change the batteries for you! Excessive ear wax build up can impair your hearing. Certified Hearing Aid Care offers safe and effective ear wax removal products that can be used as needed, or as part of your daily hygiene routine.